Hardy Brown capped a career defined by jarring hits with a single season in Denver. The Broncos had their share of memorable characters in the early days, including “probably the hardest-hitting back ever to come out of the Missouri Valley Conference,” which was the euphemistic description from the 1960 Broncos media guide of linebacker Hardy Brown. Had Brown played in the 21st century, he might have racked up so many fines that he would have been playing to pay—that is, unless his suspensions had been so voluminous that they resulted in a perpetual on-field ban. Brown’s existence was hard; he grew up in a Fort Worth, Texas, orphanage. Early on, he developed a habit of launching himself into players, often using his shoulder to lead into a player’s chin. This was before face masks were mandatory, too. Long before beginning his NFL career, Brown was a Marine paratrooper in the Pacific theater during the second World War. He matriculated at the University of Tulsa before he broke into pro football in 1948 with the Brooklyn Dodgers of the All-America Football Conference—the league that gave the NFL the San Francisco 49ers, Cleveland Browns and the first iteration of the Baltimore Colts. Brown was accused of accentuating his hits by wearing metal under his shoulder pads. 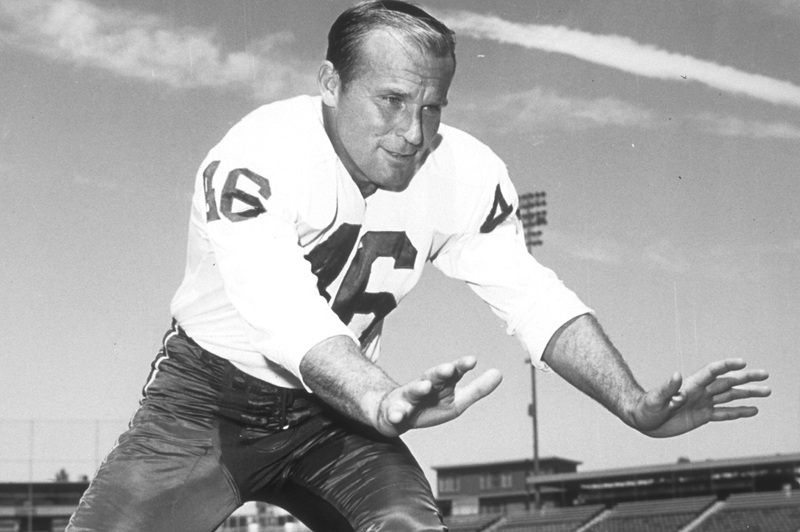 By the time Brown landed with the Broncos in 1960, face masks were mandated, and Brown hadn’t played a professional football game in four years before the new team inserted him at middle linebacker. But he unleashed his shoulder just as he always had. Even though Brown played just one season for the Broncos, no list of the team’s most feared hitters is complete without him. In the end, the shoulder shots exacted a heavy price. He suffered from arthritis in that shoulder, which was only the beginning of his health problems; in 1991, he died suffering from Alzheimer’s disease and emphysema. Nearly a half-century after Brown’s final shoulder shot, an NFL Network program on the game’s hardest hitters of all time ranked him fifth. After all these years, the legend of Brown’s ferocity remains secure.